The Big League deck is now available for pre-order. 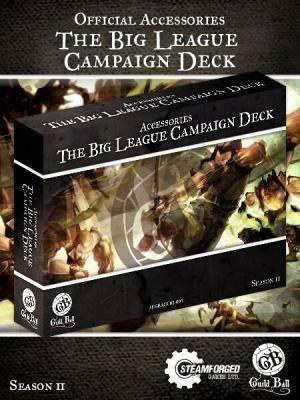 This deck is going to be critical for those wishing to take part in and run a Big League which is the new season 2 Campaign method of playing Guild Ball and it looks fantastic, as well as being fully prize supported by Steam Forged. The Big League Deck is available from Friday 1st July.